Victoria House "Our Belize Vacation" - "Our Belize Vacation"
Travel + Leisure Top 500 World's Best Hotels for 2010, 2009, and 2008, January. 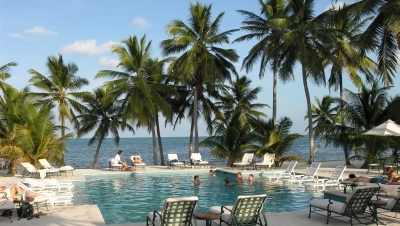 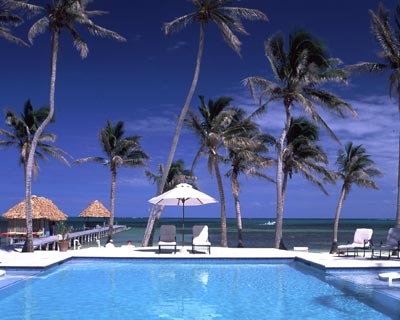 With only forty-two accommodations, Victoria House is small and exclusive and has retained the casual ambiance and outstanding staff that make it a true Belizean experience. 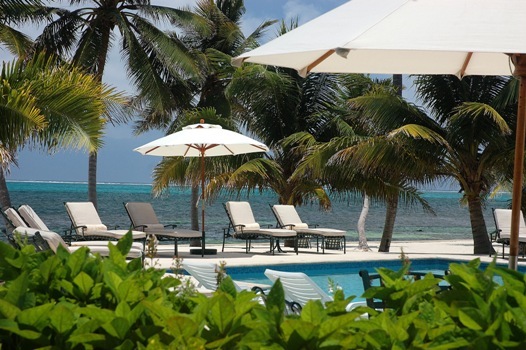 All of the Casitas, Plantation Rooms and Suites and private Villas are located in lush tropical gardens with tall swaying palm trees and sweeping views of the reef and white sand beach. Some accommodations such as the beachfront villas and Rainforest Suite are just steps from the azure Caribbean, while the Plantation rooms and Casitas are set slightly further back from the beach but still offer beach views. 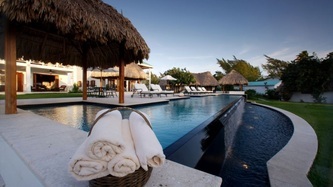 CASITAS - Greet a stunning sunrise from the private veranda of your individually thatched-roofed cabana. Each cabana is decorated with mahogany beds, draped in custom mosquito netting, allowing you to enjoy the cool evening breezes, for those that prefer air-conditioning each Casita is centrally cooled. 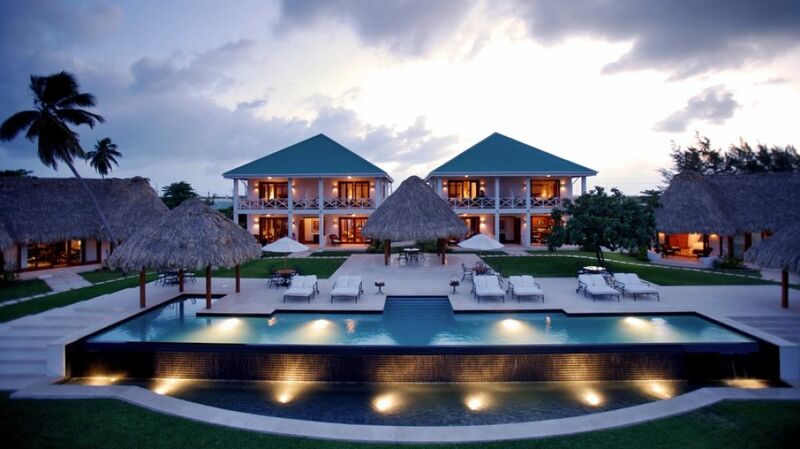 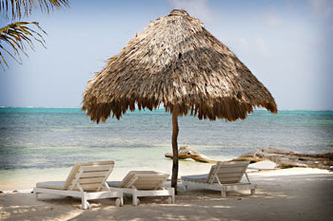 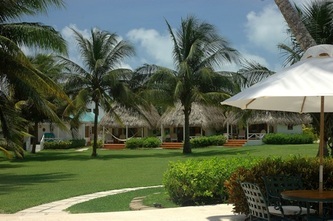 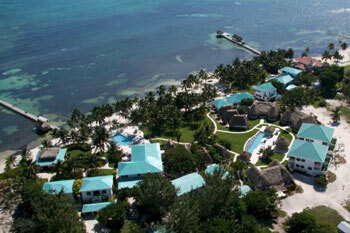 The Casitas face the Caribbean and are separated by only a white sand beach and a wide expanse of verdant lawn. The Casitas are available with a queen bed in each cottage. 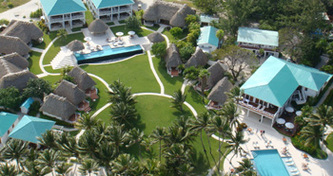 PLANTATION - Eight Plantation Rooms are located in two unique buildings, face the beach and are surrounded by tropical, hibiscus filed gardens and tall swaying palms. 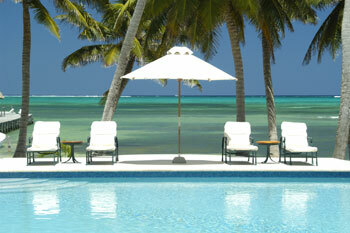 Each room features a private entrance and veranda with lovely views of the pool and beach. All rooms have plantation style interiors with either queen or king size bed draped in custom-made linen canopy's. 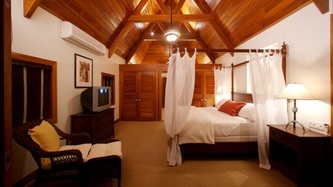 All Plantation rooms are fully air-conditioned. 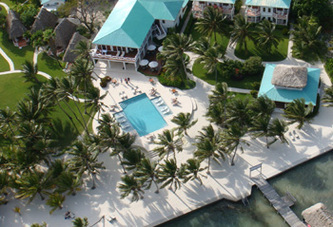 RAINFOREST SUITE - Or Honeymoon Suite is an individual Casita approximately fifty feet from the waters edge. It features a wrap around fully furnished veranda and Mahogany doors opening the beach to the bedroom. 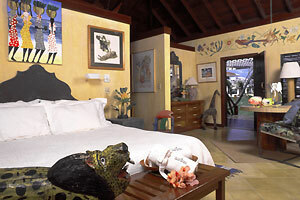 The private Casita boats an oversized bedroom with a magnificent four-poster bamboo bed facing the beach providing all the views of the Caribbean you could wish for. 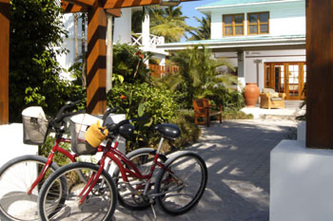 A renowned local artist printed the renowned whimiscal flora and flauna wall frescos. 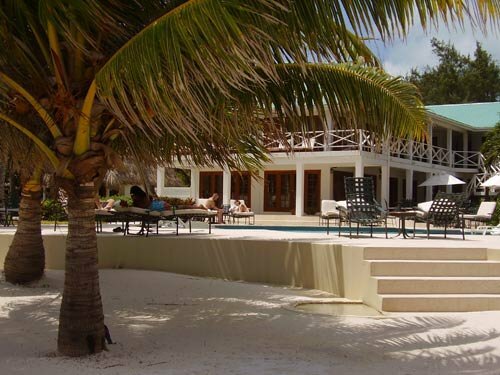 CASA PLAYA BLANCA - This lovely two bedroom villa with vaulted hardwood ceilings is located on white sand, palm-shaded beach. Both bedrooms and living room open onto a spacious semi-circle deck and private iinfinity pool overlooking the beach providing the perfect spot to enjoy an island sunrise break over the barrier reef. 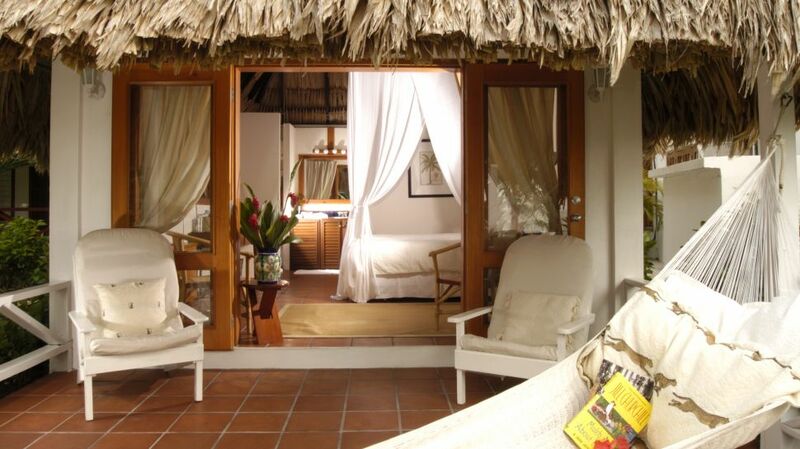 Although the bedrooms mirror each other in size, one features a king bed and the other two queen beds all draped in our signature canopies. The living room offers a sleeper sofa. Both bedrooms are air-conditioned. 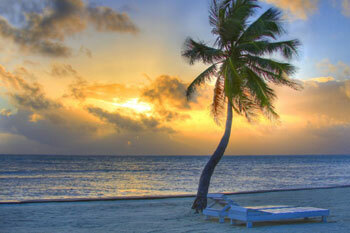 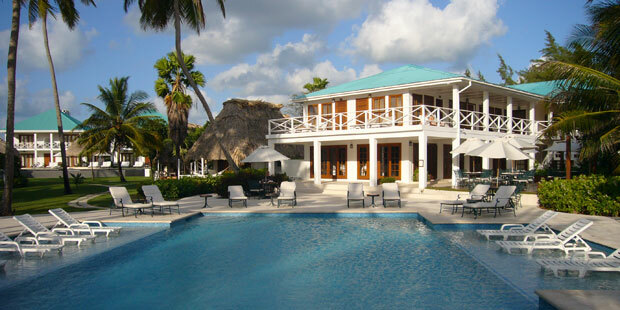 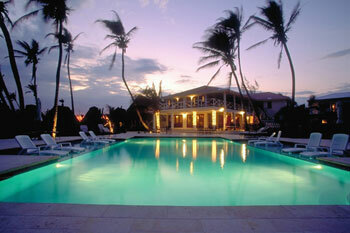 CASA DEL SOL - Just next door to Playa Blanca is a spacious fully air-contiioned Caribbean plantation style house. 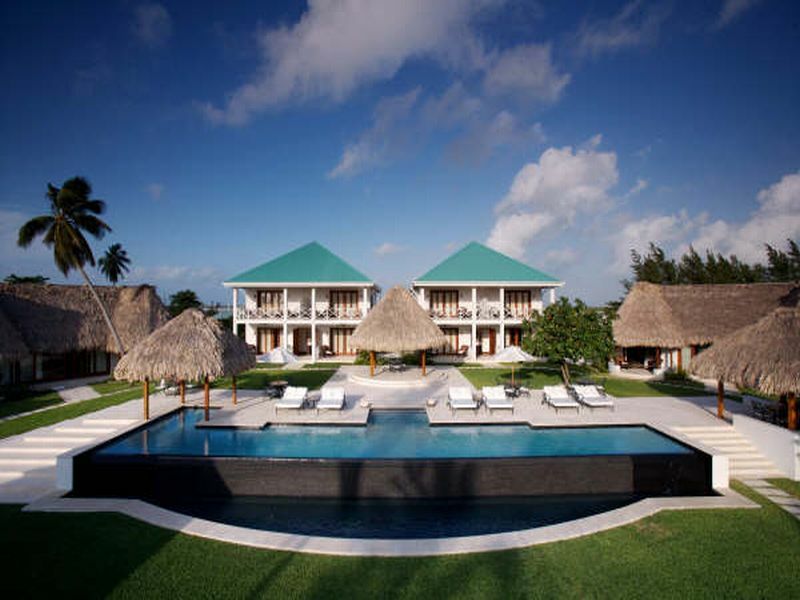 The ground floor master bedroom features a customized bamboo king bed and a large double sink en suite bathroom, and Mexican style walk-in shower. 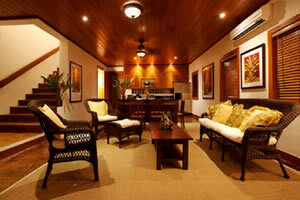 The livingroom, dinning room and kitchen all open to a covered veranda furnished with locally crafted wicker and mahogany furniture. 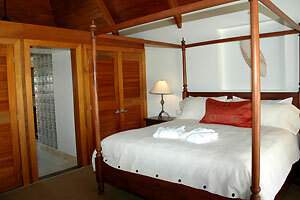 Upstairs, two privately accessed bedrooms each with an en-suite bathroom, air-conditioning and king bed. 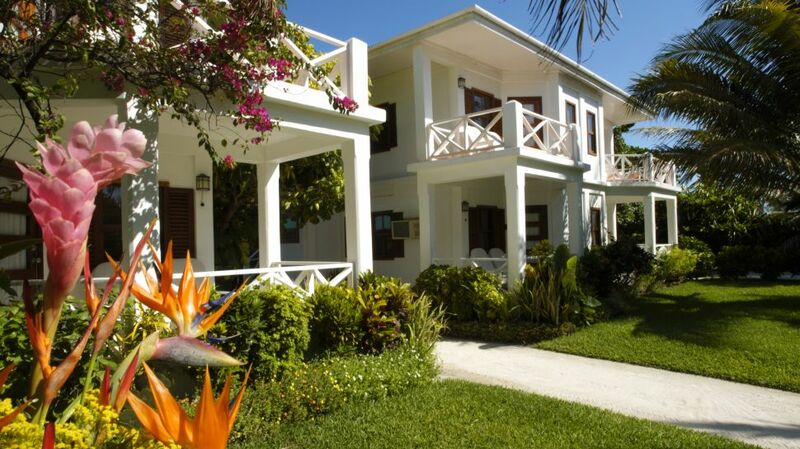 Each room has a balcony overlooking the beach and barrier reef. 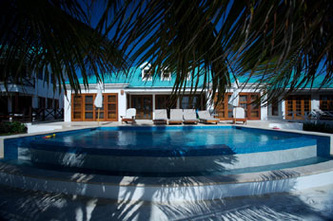 The lower level of this lovely casa can be taken as a Master Suite with the bedroom, kitchen and living area. 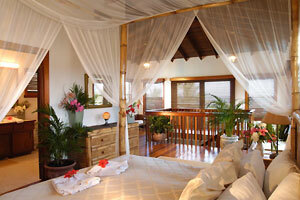 The two upstairs rooms may be used separately as Plantation rooms.